Startup Bus is an innovative accelerator aiming to build a community of young entrepreneurs around the world, and succeeding in doing so. It started as a joke that became serious very quickly. The concept is simple. You apply to be a part of one of the various organized bus trips (there are six that traversed Europe in Dec 2012; no plans announced yet for 2013). If you meet whatever they are looking for, you are accepted and assigned to a specific bus. Expect your peers to be from a variety of backgrounds, and hungry to dive into the startup culture. The bus trip costs ~USD200, and lasts 72 hours. During this time you are encouraged to network and brainstorm and a number of tools are given to you; including talks and workshops. You stop enroute on a “startup tour” of sorts, meeting venture capitalists, entrepreneurs, and incubators. By the time you get off, the hope is that you would have the beginnings of a company, with hopefully a couple of cofounders. In the worst case scenario, you’ve seen Europe (or some other part of the world where the bus is). Not bad, eh?? Are you an enterprising University Student?? Apply to Attend the Karios 50 Summit! 22 y/o inventor/entrepreneur Ludwick Marishane has created DryBath, a gel-based solution that allows you to take a bath without water. Growing up in a country with enormous dichotomies in its infrastructure access, South African innovator and entrepreneur, Ludwick Marishane was seeking to solve the sanitation and hygiene problem that he saw taking over his country. The 21 y/o Cape Town Native and founder of HeadBoy Industries came up with a product called DryBath, that gives people the chance to take a bath without water. A light bulb went on as I realized that I would be willing to pay money out of my pocket to buy such a product. Bear in mind that we were in the middle of the rural Limpopo province, with almost non-existent resources. I went home that day and used my web-enabled basic cellphone to research if such a product existed. My research showed that the product didn’t seem to exist, and there was a huge market of 2.5 billion people in the world without proper access to water who were in dire need of such a product (that number doesn’t include the billion more like my friend, who were lazy to bathe). Coming from a poor background myself, I felt compelled to create the product. It took 6 months and endless time on Google & Wikipedia to do it. 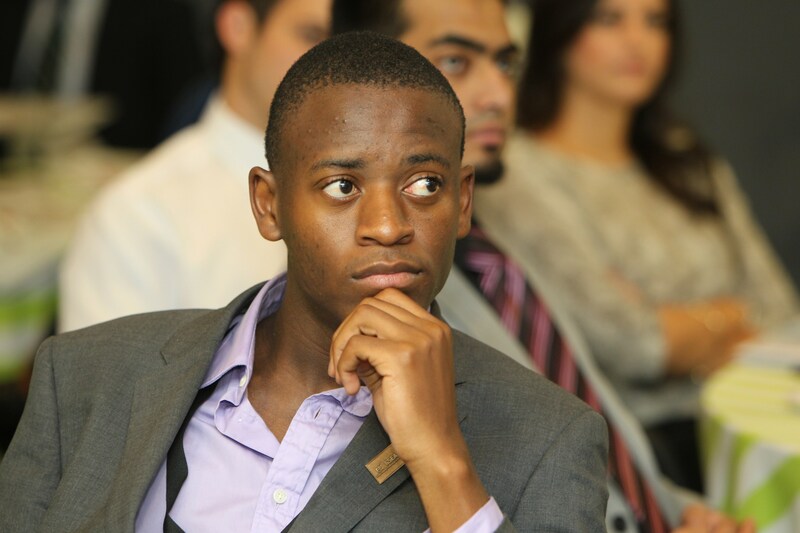 Invest in his indiegogo project here; Follow Ludwick Marishane on twitter at @theheadboy.